The geriatrics, general medicine, and palliative care communities have spoken, and we've been listening. "We want the PPS!" "The Palliative Performance Scale (PPS) is likely the most widely used prognostic scale in hospice and palliative care, why isn't it on ePrognosis?" 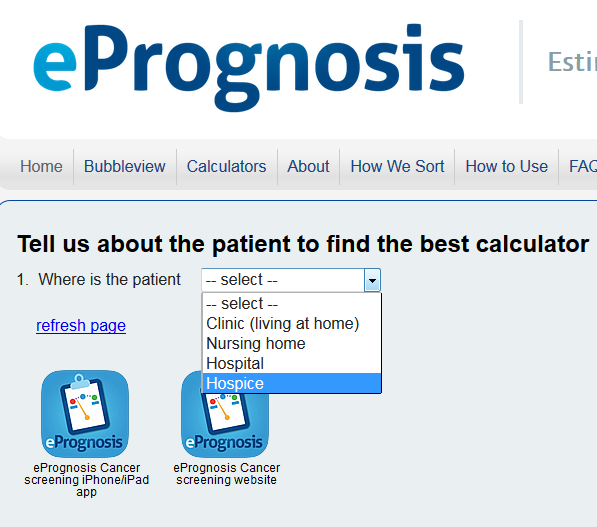 "ePrognosis doesn't have any really short term prognostic calculators." "ePrognosis the app in the iTunes store is great, but I'm not an apple person. Can't you make something like that for android?" Outcomes from the PPS will vary depending on your selection above. So entering the same risk information in the PPS for a patient in hospice will result in a shorter prognosis than entering the same information for a clinic patient with advanced cancer. 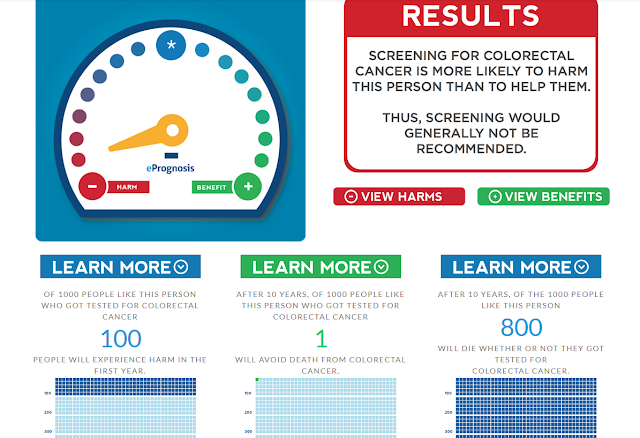 This is because the prognosis in the validation studies varied by score depending on the population studied (hospitalized, hospice, outpatient with cancer). If you think about it, this makes sense. 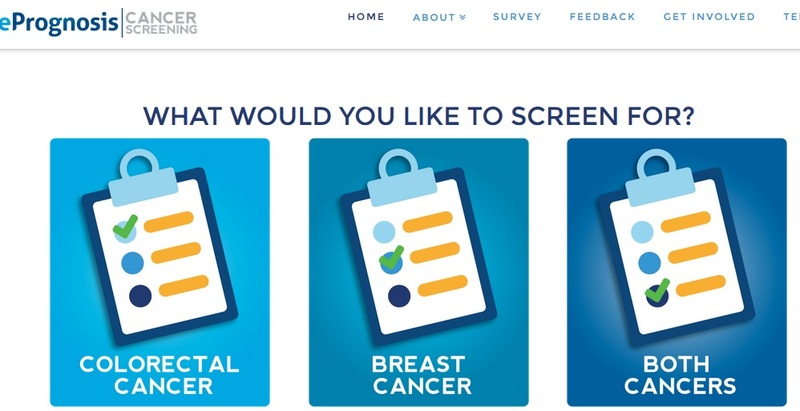 You can get to the cancer screening website by clicking on the icon in the center of the page, or the link "Cancer screening" in the upper right of the main page. You can use the website on any mobile or tablet, apple or andoid. We're very happy with the new design of the cancer screening website. Websites are increasingly going to this look, with big images and horizontal scrolling. We will soon be converting most of ePrognosis to this look. We're listening. Let us know what you think.